At its core, WordPress is equipped with the business level website features. If we estimate roughly, stats show WordPress is powering around 30% of all active websites. The stat is pretty impressive! The best part is, the ratio is increasing day by day at a rapid speed as website owners realize the value of using WordPress as an ideal CMS. At present, developing a new website is not tough, but selecting an effective CMS (Content Management System) is. In this context, if you rely on WordPress, you may win the race. Since its inception, the platform has earned a true value for its name and continuously appreciated for offering enhanced web designs and solutions. No matter, you are running an e-commerce store or a kind of fashion or beauty blog, WordPress has a lot to offer. Here, we are highlighting some of the major ones to justify the point. WordPress is an open source platform which covers almost 59% of market share which further converted as the ratio of 30% of all websites. The best of all is that 46 million downloads have generated on WordPress.org to date and its ratio is still growing regularly. Translations in 40 different languages have been done to offer an absolute and familiar dashboard to the websites owners in most major languages. If you have a limited budget to start developing a website, approaching WordPress is quite beneficial. It is an open source platform and therefore free to use. 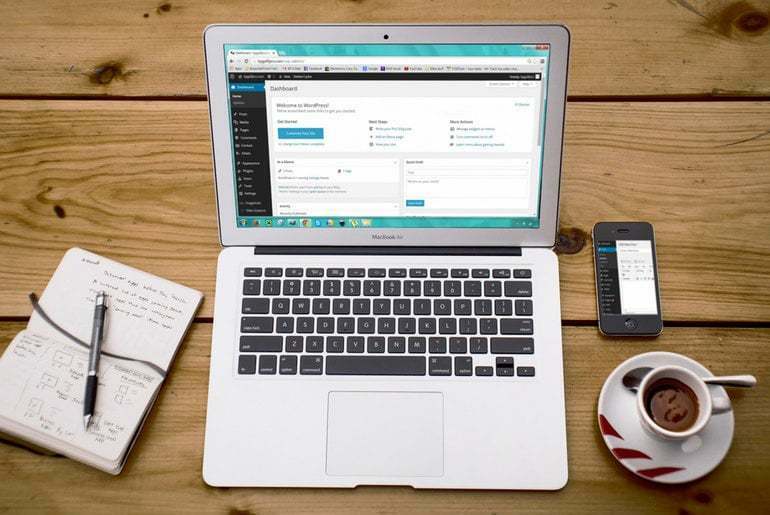 You can’t find a better CMS better than WordPress as it provides you the freedom to install and use all its integrated features absolutely free. It doesn’t mean that if the platform is free then it will hide something from users. Rather, the code for every feature is open and users can use them as per their convenience. Another benefit of using WordPress as a CMS is the variety of themes and plugins options to be used. You will find various functional and amazing theme options that are good to integrate in a website. These themes are divided into two parts: free and premium ones. It’s your choice what you choose for your solution. Plugins are the other options to improve your site. Most of the developers go with in-built plugins to add functionality to the websites. Sometimes, on-demand custom plugins can be developed to integrate additional functions to the WP interfaces. The fact can’t be denied that WordPress was introduced with search engine optimization in mind. The platform perceives and works to make business websites robust, it does it by analyzing how they work, what makes them rank, what they do to compete with the cut-throat competitive world. Besides, targeting relevant keywords, meta descriptions, meta tags and titles are also be managed by WordPress to improve site’s web presence. When you hold trust on WordPress, you need not worry as it provides SEO-based plugins to proficiently manage SEO-related tasks. WordPress throws mind-blowing options of customization to the users. If you don’t like something in your design, you can instantly demand the customization. As WordPress is open source which means customizing or tweaking plugins is not seem daunting. One can take the assistance of a professional developer for such customization. By doing this, the doors for development possibilities may open for you. Just try it once and you will be provided with a professional looking website. Website hacking is the darkest truth of the digital world. Many strongly built websites have also been hacked by cyber terrorists. It’s really hard to track those sharp minded attackers, but we can safeguard our website from such dreadful attacks. Choosing WordPress as your CMS will be helpful in this context as it is highly-secure and ensures complete safety to the website information. It’s good to know that WordPress also has different types of security plugins that can be used to secure a website from hackers. WordPress has got everything you want in a perfect CMS. So, if you want to explore and enjoy remarkable features of this platform, use it as your ideal CMS. Relying on the above-mentioned facts is not mandatory, you can surf the web to clear your doubts. But, it is sure that you will be back here with the positive remarks for WordPress. Therefore, don’t delay and use it to get marvelous results.